Yesterday I decided to be a good partner to my husband and make a big ‘ol pot of chili in celebration of the Iron Bowl game. You may recall from my countless Facebook posts that football just isn’t my thing. I went to the University of Georgia and the only game I ever attended happened as a little girl when my Dad took me. He had high hopes that his only child would somehow catch on to football. You can imagine his excitement when he learned I was studying Women’s Studies and Magazine Journalism as a college student at the University of Georgia. Yep. Thrilled. But even I know where my loyalty resides. I was raised in an Alabama Crimson Tide family so no matter where I go or who I meet or where I live, Roll Tide runs deep. Even when I could care less. 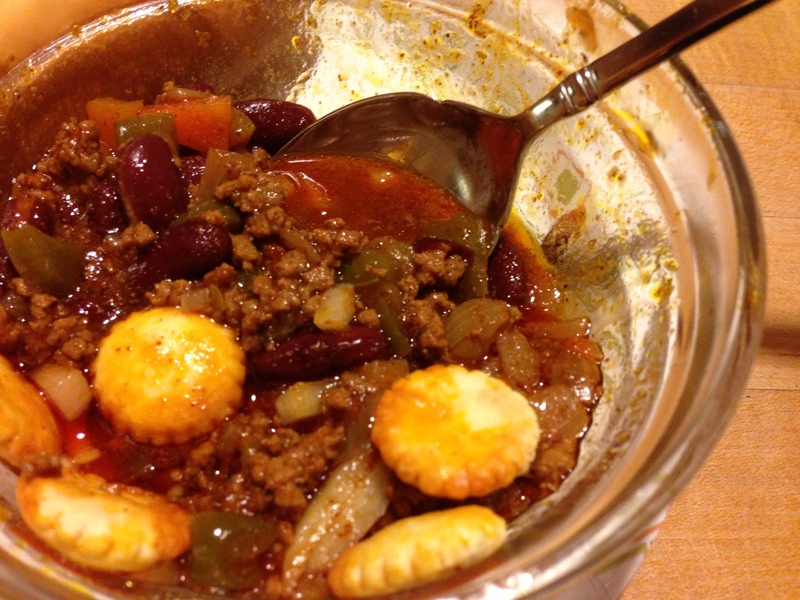 So, in celebration of the game every single one of you (it seems) have been waiting for all year…I made chili. What can I say? I show my love and support through food. Okay, okay…it also gave me something to do DURING the game. I found the recipe on Smitten Kitchen’s website (Remember? I posted her biscuit recipe yesterday). It’s called …wait for it…wait for it…Beef Chili. I’m being totally honest when I say that this might be the best chili I’ve ever made. It has the perfect consistency: not too runny, not too thick. It has the perfect seasoning: just enough heat, plenty of flavor. It’s just good. Smitten Kitchen (Deb) puts it on Sour Cream and Cheddar biscuits because, well, why wouldn’t you? I, on the other hand, just put them on the biscuits I made yesterday. And yes, I did just say out loud that I ate beef chili on a biscuit two days after Thanksgiving. I need an intervention. So, bottom line is I know that many of you are hurting today after that crazy last second play last night. Heck, even I screamed and covered my face and watched in awe and excitement as Facebook blew up before my eyes. No matter if you are hurting or celebrating today, this chili will make you feel better. I promise. The scrambled dog will just make you feel good then guilty, so I’d just go with the chili if you are feeling emotionally drained. Need the link again? Here it is: Beef Chili. …and before my Dad disowns me particularly after such a hard loss last night, here it is: Roll Tide! My mom is the same way, she shows her love and support through food. Every birthday that I can remember she has made me chilli with organic beef since that is my absolute favorite meal. I have tried to make it myself and I can never get it right. 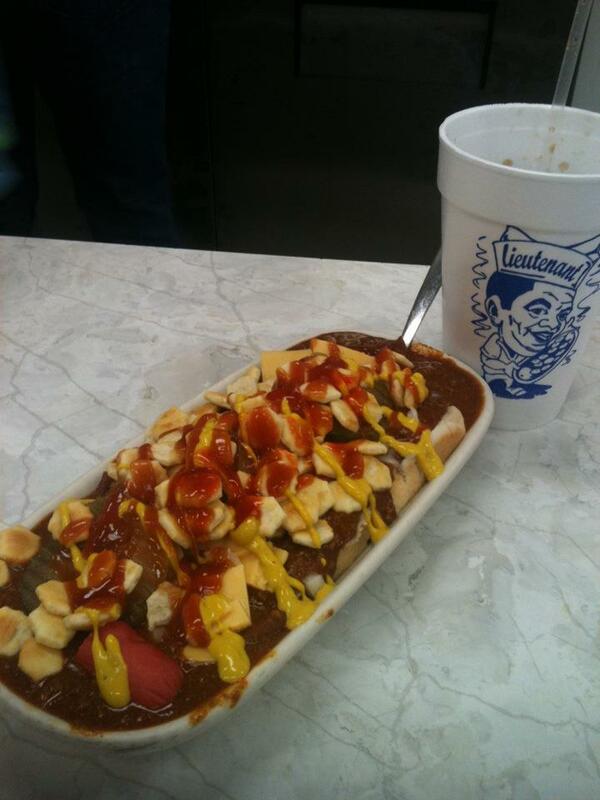 That chilli dog looks amazing!! Chili! It warms the soul, huh? Thanks for sharing!